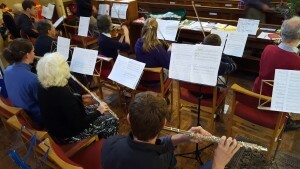 A number of young and older people who play musical instruments, bring these to St David’s to join in accompanying the singing at the monthly Family Service, every third Sunday of the month. At the moment, the instruments represented include violins, flutes, clarinets, a cello, descant and treble recorders, a guitar and a bass guitar. Other instruments have appeared from time to time: a viola, a trumpet, and various items of percussion. We are always pleased to welcome new instrumentalists, of any age or stage of musical attainment. The level of difficulty will be tailored to your needs! Our aim is to make a cheerful sound not only in the hymns but also to provide incidental music. It is always a pleasure when one of our young musicians offers to play a solo. 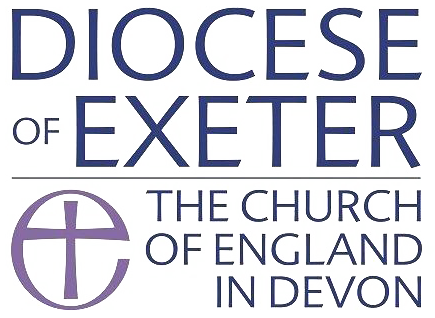 If you possess an instrument and would like to come and play with us, occasionally or more regularly, please email instrumentalgroup@stdavidschurchexeter.org.uk.